Venus ® Menstrual Cup Full Review | Winner or Loser? Home » Menstrual Cups » Venus ® Menstrual Cup Full Review | Winner or Loser? The Venus Cup was specially designed to accommodate a heavy flow, but it is still suitable for those who have a light flow as well. With its streamlined body and round base, it has a greater capacity in both small and large sizes than the majority of menstrual cups on the market without the added length. No matter what Mother Nature throws at you, the Venus Cup will have you covered! Teens, virgins, new users, or those who have a medium to low cervix (see how to determine your cervix height) may find this size comfortable. This size MAY be suitable for those under 30 years of age or those who have had no pregnancies. Please note that using this method to choose a cup size is not very reliable. Those with a medium to a high, or a very high cervix (see how to determine your cervix height) will find this size easier to reach. 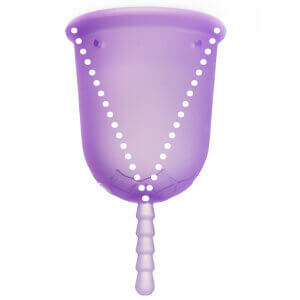 The large Venus Cup has a high capacity for those with a moderate to very heavy flow. This size MAY be suitable for those over the age of 30 or those who have been pregnant. The Double Pack includes both sizes of the Venus Cup (small and large) to suit your comfort and needs. Some people find a significant difference in the height of their cervix on different days. Having both sizes available may be a big benefit if this is the case for you. You can also use one regularly and have a back up in your emergency period kit, or give the other one to a friend! Don’t let the size label fool you! 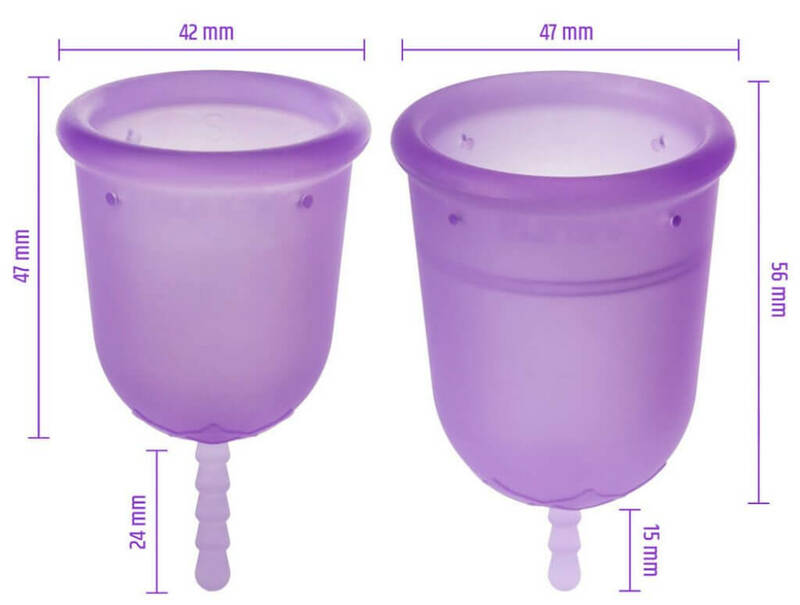 The small Venus Cup holds about the same amount as many average large-sized menstrual cups on the market. The small size holds 22 ml to the air holes and 29 ml to the rim. This is about 10% more than the average small-sized cup and is equal to 5 average tampons (a regular tampon holds about 5 ml of blood). According to the National Center for Biotechnology Information (NCBI), the total amount of blood lost during one period is usually about 60 ml (around 2.7 oz). Having the extra capacity will allow you more time to enjoy life without the worries of having to empty your cup as often (up to 12 hours). Should you need to keep the stem intact, the “cones” of the stem have been rounded for your comfort. You will also find that each cone makes an easy guide if the stem needs to be trimmed. An extra internal seal has been added for safe trimming if you need to cut the entire stem off for comfort or fit. 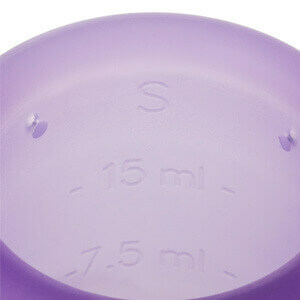 To keep the streamlined shape, the Venus Cup is designed with an “invisible” secondary rim. This keeps raised areas to a minimum for your comfort while inserting and removing, but also adds some firmness to the mouth of the cup to help it open when in position. 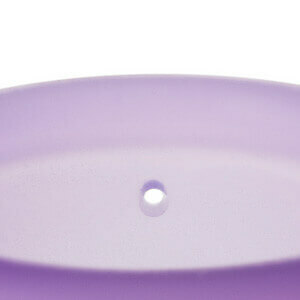 The upper rim has a smooth transition and a small lip to help create a good seal when properly placed. Keeping the upper rim to a minimum width allows this cup to create a smaller insertion point. 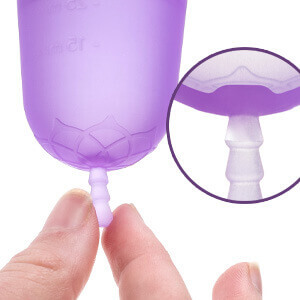 Because the Venus Cup is bell-shaped with a rounded base, it holds a higher capacity and eliminates the irritation that the point of a V-shaped cup may cause. 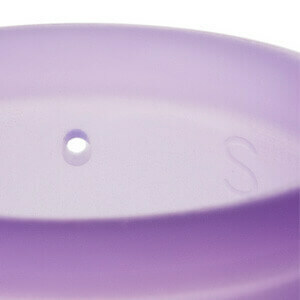 The grip rings on the Venus Cup are not only beautiful, but were carefully planned and positioned for comfort and use. They are not only rounded and low profile, but the design allows good coverage for handling without being invasive. There is no reason to take any chances when it comes to your body and your personal health! 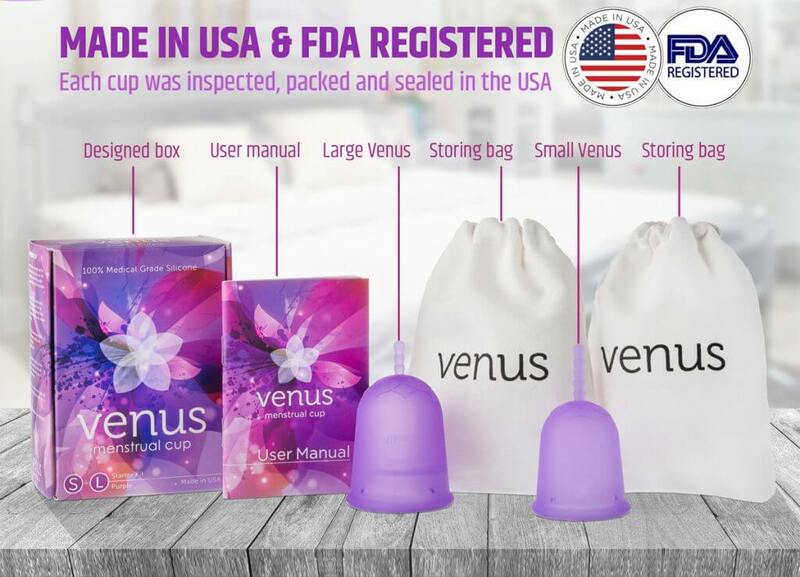 The Venus Cup is manufactured & packaged in the USA. 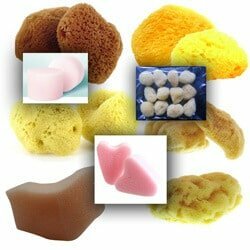 It is FDA registered (3003270419), ISO Certified, and made using 100% medical grade silicone and FDA-compliant colorants. 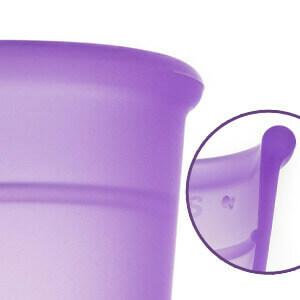 Venus Cup stand behind the quality of the silicone they use and the facilities in which it was produced. They spared no expense to present you with a well-made cup that meets all of the proper FDA health & safety measures. The durometer or “firmness” of the body and rim of the small Venus Cup was tested and chosen to be soft, yet still usable. The soft body is easy to fold and hold while getting into position and eliminates extra pressure against the urethra while in use, while the rim lends some firmness for easy opening. The four medium-sized air holes are just the right size; they help the cup both to open upon insertion, and to to release the suction when you’re ready to remove the cup. Because the holes travel in a straight line, cleaning them will be a breeze! The single flash line (join seam) that is slightly visible on the side of the rim has been carefully finished to ensure it doesn’t cause any irritations. Keeping all markings on the inside of the cup eliminates any chance of chafing. The large Venus Cup has one of the highest capacities of all of the menstrual cups on the market. It is great for those who have a heavy to a very heavy flow. It holds 38 ml to the air holes and 47 ml to the rim. This is about 30% more than the average large-sized cup, which is equal to the capacity of 9 average tampons (a regular tampon holds about 5 ml of blood). The large Venus Cup will allow you more time to enjoy life without the worries of having to empty your cup as often as a smaller one, or even a pad or tampon. It may also be used with a lighter flow to extend wearing time to up to 12 hours. Should you need to keep the stem intact, the “cones” of the stem have been rounded for your comfort. You will also find that each cone makes an easy guide if they need to be trimmed. An extra internal seal has been added for safe trimming if you need to cut the entire stem off for comfort or fit. To keep the streamlined shape, the large Venus Cup was designed with an “invisible” secondary rim as well as a special inner ring. 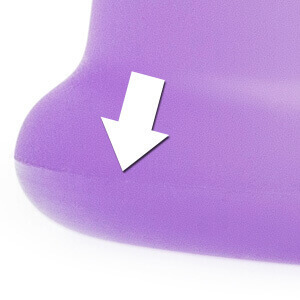 This keeps raised areas on the surface of the cup to a minimum for your comfort while inserting and removing. The invisible secondary rim and the additional inner ring both help add some firmness to the mouth of the cup for easy opening. The durometer or “firmness” of the body and rim of the large Venus Cup was tested and chosen to be soft, yet still usable. 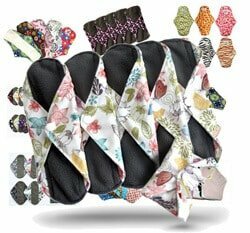 The soft body is easy to fold and hold while getting into position and eliminates extra pressure against the urethra while in use. While the rim lends some firmness for easy opening. The four medium-sized air holes are just the right size; they help the cup both to open upon insertion, and to to release the suction when you’re ready to remove the cup. Because the holes travel in a straight line, cleaning them will be a breeze! The single flash line (join seam) that is slightly visible on the side of the rim has been carefully finished to ensure no irritation is caused. Each cup is closely inspected and then goes directly from the machine to being sealed in a bag to eliminate chances of any type of contamination. The cup is then packaged and shipped to you with care. There are several types of silicone, but not all of them are meant to be used on or in the body. Builders’, glazing, frame, food safe, aquarium, and bath & kitchen silicone are some examples of silicones that should NOT be used inside the body. There even exists a type of medical grade silicone that is meant to be used ON or AGAINST the skin, but not INSIDE the body. Although there are many sellers that claim that their menstrual sups are made of medical grade silicone (Class VI), there is no way to be sure. For your safety, check the FDA list for a registration number, buy with a reputable company, read reviews, and ask questions. If the cup feels or looks questionable or of poor quality, you might want to find another menstrual cup brand, but there is no second-guessing the quality of the Venus Cup! The Venus Cup has one of the most elaborate and user-friendly manuals. Within it, you will find a lot of very useful information such as: how to insert and remove your cup, how to care for your cup, tips & tricks, troubleshooting, FAQs, etc. 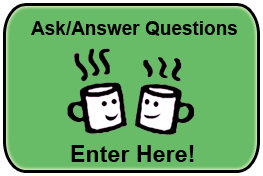 You can also contact Venus Cup for any questions and issues you may have. The first few times using a Venus Cup may not be simple for all new users. Just like everything else, there is a learning curve and you may need some practice to get the hang of it. Should you find that you need guidance during your menstrual cup journey, the Venus Cup team is there for you! Where is the Venus Cup made? The Venus Cup not only has an FDA registration (3003270419), but it is also manufactured in the USA in an FDA registered facility. What is the Venus Cup made of? The Venus Cup is made with 100% medical grade silicone and medical grade colorants (if any is used). Will the Venus Cup cause me pain? You should not experience any discomfort or pain at any time while using the Venus Cup. 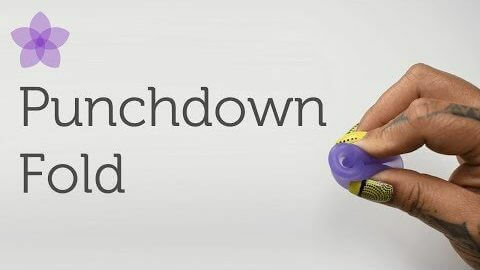 Different folding techniques, using a water-based personal lubricant, and using a different size may help ease any discomfort that you may experience. Can the Venus Cup get lost inside of me? Once inserted into the vaginal canal, the Venus Cup can not travel to other areas inside the body. Can the Venus Cup be used to swim or sleep? Yes! You can do almost any activity while using the Venus Cup including swimming or sleeping. In fact, because the Venus Cup holds much more than a regular-sized tampon, you’ll be able to do all these activities without having to worry about your period for a longer length of time! Is Venus Cup dishwasher safe? It is not recommended to place the Venus Cup in the dishwasher. Chemicals in the dish-washing soap may deteriorate the silicone more quickly. The light-weight menstrual cup may also get dislodged by the strong streams of water pressure and the cup may be damage by the spray arms or heating element. What activities can I do with Venus Cup? Almost any activity can be performed while wearing the Venus Cup. Walking, running, hiking, climbing, skiing, swimming, biking, dancing, martial arts, etc. If and when the Venus Cup fits and is worn correctly, it is undetectable from the outside. No strings and no wings to worry about! 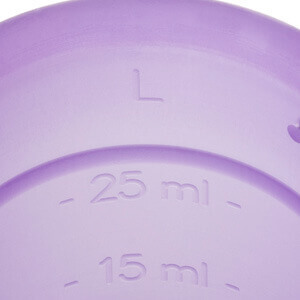 A new user might experience leaking when they’re first learning how to insert, open, and properly place the Venus Cup. This will get easier with practice. Once the technique is mastered and confidence is gained, the cup should no longer have any issues with leaking. Until then, it may be a good idea to use a liner or pad as back up. The Venus Cup company believes that everyone should have access to affordable menstrual health care. Although the price is comparably low (only $19.99) to other menstrual cups on the market, feel assured that the quality was not sacrificed in any way.